US Military orders immediate halt to private drone use over fears of hacking by adversaries. 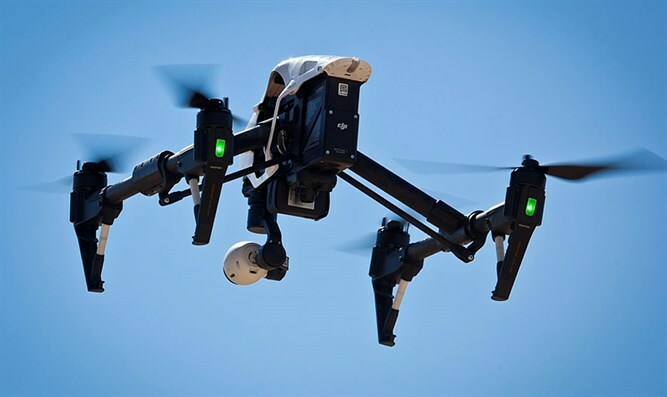 Drones have become an integral part of modern warfare, and the low supply of drones led the US Armed Forces to approve using off-the-shelf drones made by the Chinese giant DJI. Last Wednesday though, the order came to pull all DJI drones from service - immediately. The problem is that the US is not the only one using the drones. ISIS and Hezbollah have made wide use of them as well, and the Pentagon worries that their familiarity with the drone's control systems will makes them a ripe hacking-target that could provide valuable intelligence, such as troop movements. "All units must cease all use, uninstall all DJI applications, remove all batteries/storage media from devices, and secure equipment for follow-on direction," read the order, which was signed by Army Air Directorate's deputy chief of staff Lt. General Joseph Anderson. In a statement to SUAS News, DJI said that "We are surprised and disappointed to read reports of the U.S. Army’s unprompted restriction on DJI drones as we were not consulted during their decision." "We are happy to work directly with any organization, including the U.S. Army, that has concerns about our management of cyber issues.We’ll be reaching out to the U.S. Army to confirm the memo and to understand what is specifically meant by ‘cyber vulnerabilities’." The operational risks associated with drones are not new to Israel. In the 1997 'Shayetet Disaster,' Hezbollah utilized information obtained from an unencrypted IDF drone to lay an ambush that killed 11 commandos from the elite Shayetet-13 Special Operations unit. The terror militia was able to intercept signals sent out by Israel Air Force unmanned aerial vehicles (UAVs) that conducted reconnaissance over the soldiers' planned route in the five days that preceded the raid. The UAV's signal was unencrypted and Israel's enemies could therefore see the video being sent out in real time. Hezbollah thus gained advance knowledge of the raid and had time to rig powerful explosives at points on the route where they expected the commando soldiers to pass. A force made up of 16 soldiers walked into the ambush and 11 were killed. Four more were injured and only one, the radio operator, was unhurt and called in the rescue force. In addition, documents revealed by former NSA (National Security Agency) employee and whistle-blower Edward Snowden in 2016 revealed that the United States and Britain had successfully hacked IDF drones for the previous 18 years, and garnered the allies valuable intelligence into Israel's plans to bomb Iran.